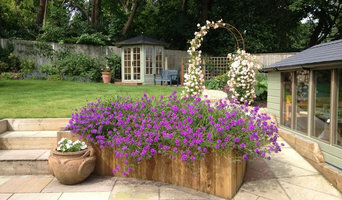 Multi-award winning garden design practice Ann-Marie Powell Gardens Limited was established in 1999. 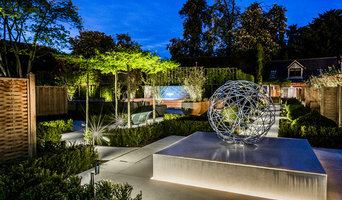 The studio specialises in creating contemporary gardens in the naturalistic style that enhance a client's relationship with their home, its environment and the wider natural landscape. Our portfolio includes private and commercial gardens (including Grade 1 and 2 listed), roof terraces, public spaces, hotels, school gardens and grounds, show gardens, community gardens and development projects. Ann-Marie designs her gardens from in her own studio near the South Downs on the West Sussex/Hampshire border. To discuss your gardening project or landscape design requirements, call Ann-Marie Powell Gardens on 01730 825 650. Every client is different. Every client has different aspirations, needs, life experience and resources. Spending time not just looking at the garden, but to listening to the client to find out what they really want is therefore the key to the success of our gardens. Once the best design has been reached, we pride ourself on seeing the work through to completion to the highest possible standard by tendering and project managing the construction and planting. We reveal the potential of every site. Reliable, honest and hardworking business based on recommendations and high quality workmanship. Welcome to our Portsmouth Garden Services website. We are B&R Garden Services, your friendly, local, family run gardening company. We’re passionate about what we do, working with you to create and maintain a gorgeous outdoor space to relax in and enjoy. We have over twenty years’ experience in the Portsmouth area. We cover Portsmouth, Fareham, Gosport, Titchfield, Lee on Solent, Stubbington, Wickham, Droxford, Waltham Chase, Swanmore and surrounding areas. We undertake one off jobs and regular gardening work, for both local residential customers and commercial businesses. We are also fully insured. We provide a quality service at competitive prices. Whether you need a weekly gardener, an annual garden tidy, advice on a planting scheme or if you have a corporate contract to fulfil, we’re there to provide a free, no obligation quote. We offer a friendly, bespoke service for beautiful gardens of all sizes and settings, working with clients to provide a lasting design based on strong architectural lines and fluid planting. Here at Julie Jones Garden Design, I can help bring your garden to life. Whether you have a small backyard or an expansive estate, I can work with you to create the look and feel you’re after. Green space is at a premium in most parts of the UK, so why not make the most of the green land you have! I can take your vision and turn it into a reality. Often gardens are an afterthought and not used as the relaxing outdoor haven they could be. 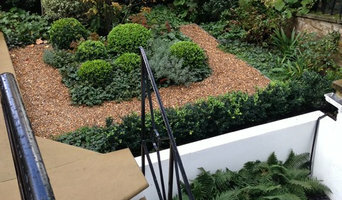 I specialise in garden design, and work closely with reliable and skilled landscape teams. We transform everything from roof terraces, indoor plants, residential garden landscaping to break out areas, soft landscaping and maintenance. With over 20 years of experience, and full RHS qualifications, I can design an outdoor space you’re proud of. You have dreams for your garden – they’re an important part of your future. You want to realise those dreams – and make the most of your outside space. You want someone to do exactly what you want – or perhaps to come up with their own innovative ideas. You might want a solution on what to do with that awkwardly shaped or underused area. Whatever your garden landscaping needs, you want the project completed efficiently, economically in a way that adds value to your home and quality to your lives.From your first call to us, to our last courtesy check on you, we promise you a friendly, creative, efficient and tidy landscaping service. We guarantee that you will be more than satisfied with the results – and that they will always be delivered by a team that goes about its business with a smile on its face.Gemini’s team of skilled and experienced landscapers combine vast experience with youthful enthusiasm, and creative design expertise with practical working know-how. We have a proven track record of transforming all manner of gardens into stunning spaces, often taking unused or difficult areas and modelling them into functional and attractive family amenities. Gemini Landscapes currently has a job vacancy for a Hard Landscaper. Based from our offices in the New Forest, Upcher & Co work throughout the South of England from London & the home counties in the East, across to Oxfordshire, Gloucstershire Bath & Bristol, down through Devon & Cornwall; and of course throughout the local counties of Hampshire, Dorset, Surrey & Sussex. We undertake every element of Landscape Design from meeting with Architects & Building Contracotrs, Interviewing & selecting Landscape Contractors, overseeing and project managing the build process, interviewing gardeners and maintenance teams, producing horticulturally correct maintenance plans; and of course meeting and understanding your requirements, to ensure all of the above is to your expectations. Based just outside Liphook, Hampshire, Ben Lannoy Landscapes specialises in garden design and planting throughout Hampshire, Surrey and West Sussex. With a team of trained horticulturists, lead by Ben who qualified at Painshill Park Design School, our passion for plants is truly reflected in our work. We understand that a garden can be a very personal space, which is why we work closely with clients throughout the whole process to create a design unique for the individual. As well as our garden design and build service, we also offer planting packages suitable for any budget, a comprehensive lawn care service and garden maintenance in Hampshire, Surrey and West Sussex. 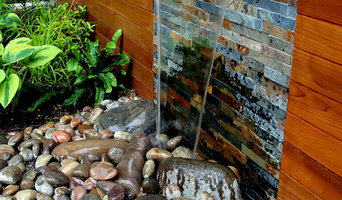 We are also pleased to install living walls and tend to any interior landscape needs. The business covers all aspects of garden design, landscaping, planting plans and garden maintenance and has won over 60 industry awards spanning 30 years. In 2015 Hambrooks launched Hampshire's first Garden Destination Centre in Titchfield where there are 16 Showcase Gardens to inspire visitors with ideas for their own gardens. Each highly individual garden contains features that can be incorporated into any style or size of garden, whether urban, courtyard, country or traditional. The Centre has an on site Design Studio which is manned by our award winning Head Designer Mike Hodges. The Centre stocks a wide range of plants and unusual garden artefacts together practical gardening items, hard landscaping goods such as bulk bags, paving, fencing and decorative aggregates. We are one of the growing British Brand’s renowned for design, quality and innovation with a series of collections covering poolside, dining and lounge areas. Our reputation is based on that ethos of exceptional design and unparalleled quality which is why we go so far to protect it. We use materials such as weave, aluminium, stainless steel, leather and textyline to create pieces that have comfort and beauty. From the very start we were always both environmentally and ethically aware when designing products and are now we are now one of the few manufacturers to put that into practice, working with up-cycled materials to create our Ecollection. 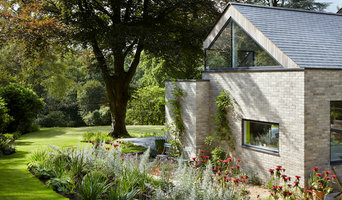 This has been chosen as one of Kevin McCloud’s Green Heroes for 2014, an achievement from first showing the Ecollection in 2012 at the Chelsea Flower Show for an award winning Landscape Designer to another high recognition to date. We work closely with architects and designers to provide a unique service tailoring furniture to ensure it perfectly addresses our clients’ requirements and creating integrated schemes whilst being commercially viable.